Two Clouds in the Sky: It's snowing in NY. 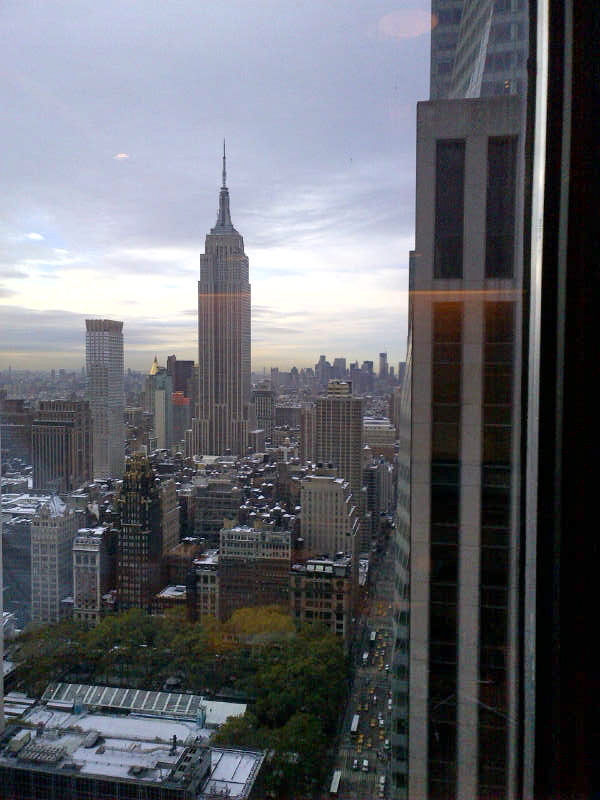 By S.
Just the other day, on Tuesday 6th November (Election Day), I posted an image my husband took with his Blackberry from an office building in New York where he's spending a few days on a business trip. The picture was beautiful, the sun was shining and the sky was blue. Today, he sent me another picture with a very different view... It has snowed, it's very cold and the sky is covered in clouds.